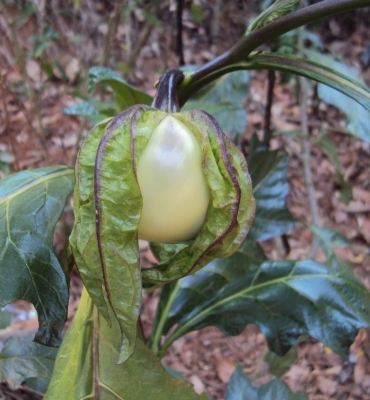 It is widely accepted that Solanum macrocarpon is the cultivated form of the wild Solanum dasyphyllum. Opinions on whether to maintain them as distinct species differ, any distinctions between them are largely artificial, but they are maintained as distinct here for practical purposes. Solanum atropo Schumach. & Thonn. Hình cây cà pháo do tôi t? ch?p và t?i lên ?? minh ho? cho bài vi?t Cà pháo. Tropical western Africa - Sierra Leone to Nigeria.